As part of its official launch on the East Coast, luxury brand CCCXXXIII hosted an event and trunk show in Manhattan last week. The event was an absolute success—call it a celebration of timeless style. Supporting partners included prestigious brands like Aston Martin, whose stunning DB11 Volante was on hand to lend the right brand associations. Of course, no less than the Baccarat Hotel’s resplendent halls would do for such an occasion. CCCXXXIII founder and affable visionary—one Christopher R. King—took the opportunity to announce the expansion of the brand’s line of luxury goods. This comes in the wake of a favorable response to his unique vision, kicked off with a series of ideally exclusive, Italian-made attachés. CCCXXXIII’s success with its initial venture has led King to broaden the company’s appeal, and its raison d’être, too. The new items include a line of three humidors, and a line of three pairs of slippers. Again, the collections are presented in a distinct hierarchy of production number, material selection, and exclusivity, with 300, 30, and 3 examples of each item produced and offered for sale. The design language and materials show the same meticulousness displayed in the attaché line, giving the brand a cohesion that is blossoming into a carefully defined identity. CCCXXXIII launched this winter with a trio of high-end attachés which have come—in that short space of time—to represent the final word on the executive essential. The range represents hand-made craftsmanship, use of gold-dipped and solid gold fittings, rare leathers and skins, and a series of accents that include shaved mink. They are strictly limited in production, with just 300, 30, and 3 examples available, respectively, for each model: the Julian, Constantine, and Imperium. The collection is infused with a dignified elegance that is rarely pulled off successfully. Founder and creative director Christopher R. King is consistently looking to the past for inspiration; maybe that’s why he can frequently be found jet-setting around the world in search of the best of the best. His interest in locating design inspiration in a new ethos of craftsmanship revives a fading emphasis on pure and circumspect expression, a remarkable position in a world where kitsch has become a broad-spectrum approach and a largely accepted norm. 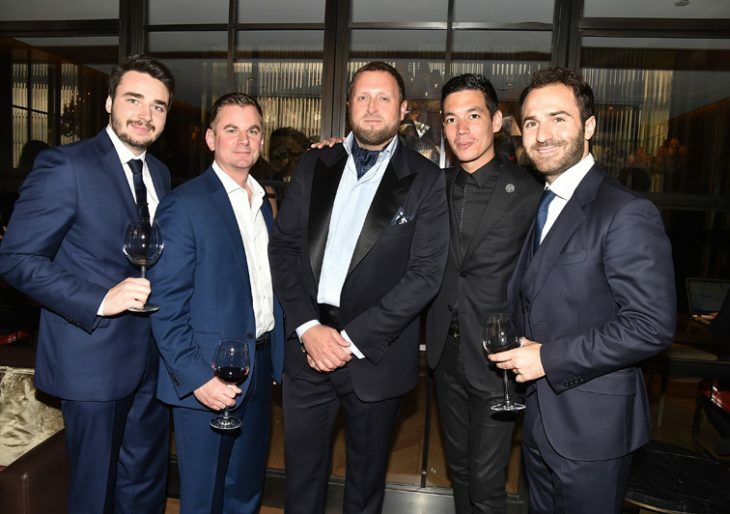 If the success of the launch event at the Baccarat is any indication, King’s creative direction has enjoyed a warm reception. To the extent that CCCXXXIII’s creations represent extraordinary final statements on functional art, the brand feels like it has always existed in the pantheon of ultra-luxury. We’re glad it does.